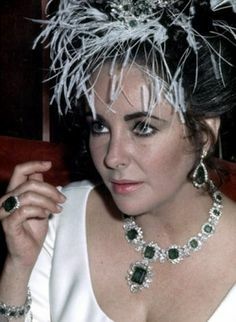 Elizabeth Taylor's Bulgari Emerald Suite consists of an Emerald Necklace, Emerald and Diamond Pendant, matching set of Earrings, Emerald Ring and a Bracelet. 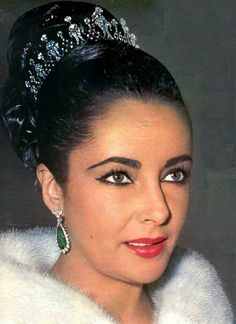 She wore the pendant as a brooch as well. 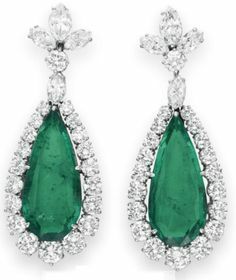 Some of the Emeralds in Taylor’s set were from the Grand Duchess Vladimir in Russia. 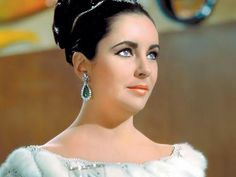 The suite was a gift from Richard Burton, her then husband. 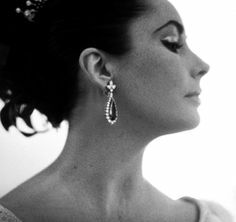 He acquired it after several trips to the Bulgari boutique on the Via Condotti in Rome from 1962 - 1967. 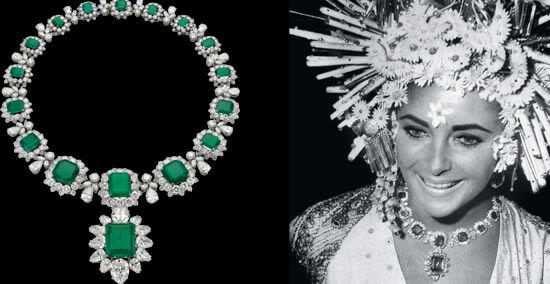 Richard Burton gave her the Emerald and Diamond brooch as an engagement present and Necklace as a wedding present. Earrings, a bracelet, and a ring followed. 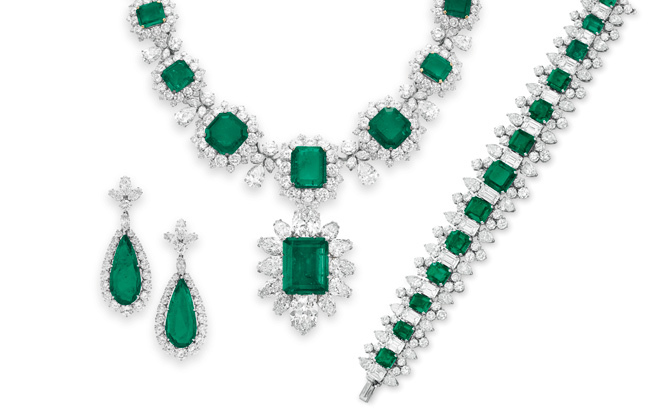 Taylor was given a choice between two spectacular emerald necklaces. "I tried on the huge one, then the smaller one, the huge one, then the smaller one. By this time we had been joined by Bob, a dear friend and Richard's dresser for years. Richard asked him which he preferred. Bob couldn't decide either. I tried them on one more time and said, 'Richard, I think I like the smaller one.' Bob said, 'Mr. B., you can't hardly get girls like that no more!'" This was one of her favorite jewelry sets and well deserved too. What do you think? Share with me in your comments and reactions below. Update: The complete set was sold for a combined price of approximately $23 million! I would say, "Jaw dropping unbelievable! ", right?